Ending my July with something sweet and memorable. I am not sure should I put this up on my blog or not but I bet some of you might have noticed it when you flipped through Her World 55th Anniversary issue this month. Well, I was one of judges for Her World Beauty Awards 2015 together with some of the well-known editors, writers and gurus in the beauty industry. Moshi! Moshi! We were at Chibi Maruko Chan Land @ Tokyo Street let's play some games. Well, it was Tokyo Street 4th Anniversary celebration with the first ever appearance of popular Japanese icon, Chibi Maruko Chan in Malaysia. Chibi Maruko Chan is a well-known Japanese manga and television series that depicts the everyday life of a young girl, promoting friendship and family ties. Last week, I had my hair pampering session and tried the Deep Layer Moisture Hair Treatment at IMP Hair Studio. This hair treatment can help to replenish the moisture especially for those who has damaged and dry hair. It repair inner & outer hair with water-repellent coat the surface of hair. I am sure that some of you have heard about Dr.Jart+ skincare from Korea. I have reviewed some of their skincare before and the last review is Dr.Jart+ DermaClear Micro Cleansing Water that is a gentle and effective makeup remover. Few weeks ago, I received a jar of the new Dr. Jart V7 Toning Light Cream. From the product name you can guess what type of cream is that right? I had a wonderful Spa Day Out at Mandara Spa, Sunway Resort Hotel & Spa invited by Beauty Guide during the Hari Raya holiday. It has been a while since my last visit to the spa or had a massage. This was a much needed pampering and relaxing spa session for me. Recently I found my all-time favourite food in Klang Valley. Yes!!! the cheerful looking Uncle Peoh that sells Asam Laksa in Penang Ayer Itam Market in now in Klang. If you crave for a bowl of hot, sour and spicy authentic Penang Asam Laksa you can now go to Angcle Peoh @ Bandar Bukit Tinggi, Klang. For many children around the world hunger is not only a daily struggle, it is life threatening. Every five seconds, a child dies from starvation and over 350 million children go to bed hungry each night. These children suffer acute malnourishment and are in dire need of life-saving assistance. FEED Project raises funds for the United Nations World Food Programme. Grab your bell-bottoms and get ready for 70s Revival. In the Paris Fashion Week Spring Summer 2015 shows, designers rocked their looks with “In The Band” inspirations. The ‘70s make a comeback in 2015’s Ready To Wear Collections. Experience a flashback to the decade of glam rock, lava lamps and roller disco as designers bring the best of 70s fashion back into the mainstream. Why Shouldn’t You Let Your Teens Locate A Cell Phone On Their Own? Teens always want to stay updated, they want everything that is trending; whether it is fashion or the latest gadgets. 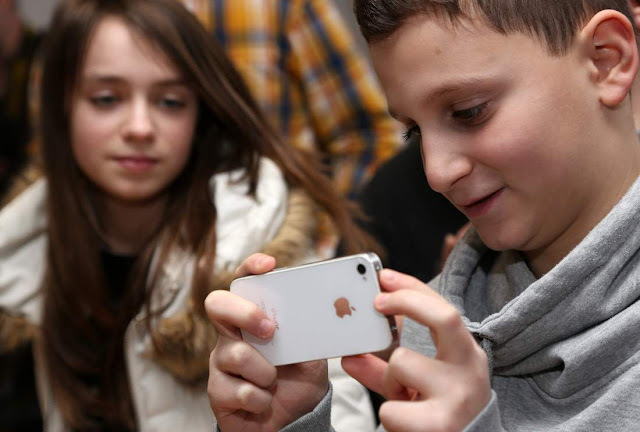 They think they are grown up enough to have the latest smartphone but are they responsible enough to take care of them? We all know the answer to this question. And what do they do if they lose one? Most probably conceal it from you and try to retrieve it on their own. This can be very dangerous! Yves Saint Laurent (YSL) Black Opium is dangerously seductive, she knows who she is and what she wants. Dramatic, restless, she’s a complex intermix of darkness and light; feminine sensuality; playful but serious at the same time. The scent is strong, unique and intense pay-off with rock chic concept. The journey to conquer my fear of public speaking wasn’t easy but I know I can do it. To be honest I have stage fright, every time when I am on stage I have butterflies in my stomach and sweat. I felt so nervous, my brain frozen and I will utter the wrong words. OMG… did you have the same fear as me? How to overcome stage fright and be a good public speaker? Heyo! As usual, you know that Sunshine Kelly love to try anti-aging skincare and also facial. Well, maybe my age is catching up so I have to be more diligent in taking care of my skin. Recently I tried the Thermax Facial Treatment at IDO’s Clinics. This is a non-surgical face treatment that can help to boost our skin collagen and face lifting. What is your 3C’s in Life? The 3C’s in Life are Choices, Chances and Changes. This morning I posted up an Instagram at my site with the 3C’s caption but I did not elaborate much. Then someone started to ask and told me there are more than 3C’s, well she is correct too but that depends on our priorities. Monki Autumn Winter 2015 collection is inspired by the discoveries of traveling whether it’s the real version or imagination. On the Map, Off the Charts! From fancy packs to tweedy coats, Monki will let you visit 90’s party scene and take you to old time British heritage fashion. Back to basics… why do we use soap? For cleansing purposes of course, well there are many types of cleansers such as liquid, cream, powder or the most common is soap. Recently I tried this Cetaphil Gentle Cleansing Bar for body and sometimes on my face as well. Wearing CHeeKS is like wearing a piece of arts on your feet. Each pair is individually hand-painted By our Malaysian Artist Chee Li Har, so each pair is uniquely one-of-a-kind. There will be no two is exactly alike. My butterflies red espadrilles took her about 6 hours to paint and symbolizes femininity, friendship and fine, suits my personality. When I received this bottle of essence, the word Life Plankton caught my attention. I asked myself what is Life Plankton? What it does to my skin? By the raw name itself, it sound like some micro-organism to me, half correct. Well, Life Plankton is a living micro-organism that gave birth to our active regenerating, protective and soothing properties. Overalls are the fashion statement version of denim, you got to be a little bit more confident in a fashion sense to wear overalls. Just wear baby tee or tank top and put on your overall, tadaa… you look street style. If you pair it with heels then is more elegant or just slip on a sneakers or flats for that Sunday carefree look. Hi! today I am going to show you how to use this new Instyler Ionic Styler Pro 4 in 1 Home Hair Styling Tools. Well with so many events and functions to attend lately sometimes it’s good to have different hairstyles like curls, wavy or I can always go for straight. How is your Raya celebration so far? I have visited a few open houses and more to come. As usual I had my rendang, lemang, ketupat, kuih raya and other Malay delicacies as well. Remember to eat moderately and do some exercise during the holiday too. And at the same time I am using some home body care products to keep myself in shape, one of them is Clarins New Body Shaping Cream. Raya Day 2 Giveaway! Here is another 10 pairs of The Vatican Tapes movie passes to giveaway today. The steps and rules same as yesterday Ju On 4: The Final Curse Giveaway. Enter the terrifying world of The Vatican Tapes from the filmmakers of the hit The Exorcism of Emily Rose, this horror-thriller dives into a modern day story of good and evil, while exploring the devastating and widespread consequences of a demonic possession. Do you want to win a pair of Vatican Tapes movies passes? Salam Aidilfitri! I would like wish all my Muslim friends, fans, readers, colleagues and family members Selamat Hari Raya. May you and your family have a blessed Aidilfitri. For the non-Muslim happy holiday and do visit more Raya Open Houses. Tonight we had dinner at one of his favourite and usual restaurants, Chili’s. I decided to order the Ramadan Special Combos because it’s comes it’s worth it and available for a limited time only. The real lifetime quest of which lipstick color suits the best for your face type and skin color is probably one of the hardest for many girls. You can experiment with many different kinds of colors or brands, but still won’t find the very best color pallet for you. Don’t worry about that anymore, because here you will get only three, but simply amazing commands, of how to choose the best color lipstick for you! So, just keep up with it and be sure to choose the very best option. Few weeks ago, we explored the newly refreshed 2nd Floor East @ Berjaya Times Square, Kuala Lumpur. The overall outlook of this revitalized area was indeed impressive and modern with contemporary décor. It has a wider walkway, brighter lighting and consists of a mix of chic retailers and international cuisines. I had a pleasant and quiet weekend catch up with some of my friends over a cuppa at Caffe Crema @ Plaza Mont Kiara. It has been a while since our last meet up and we had so many things to share and learn from each other… good companions, coffee and cakes. Let’s eat ramen! How many of you love ramen? I just tried the new Tokushima Ramen at Ippudo Malaysia last week. This is their July’s specialty and it’s only available for a limited time till 30th Sept. At the same time we also tried some of the special appetizers that are only available at their Bangsar Shopping Centre. Hey! to all the Super Heroes fans out there, here is another new DC Comics Super Heroes Café right in the middle of the city. It is located at the second floor of the newly refurbished Sunway Putra Mall. Next to the café is the DC Comics boutiques where you can find all the Super Heroes merchandise including the limited edition ones. The cushion foundation is a hit this summer, do you want to know what is so special about cushion compact foundation? As you know, we Asian girls love and admire dewy, translucent and glowing skin. Using the right cushion foundation we can achieve that effect. Lancôme is the first western luxury brand that introduces the Blanc Expert Cushion Compact to make our life effortless when it comes to makeup. 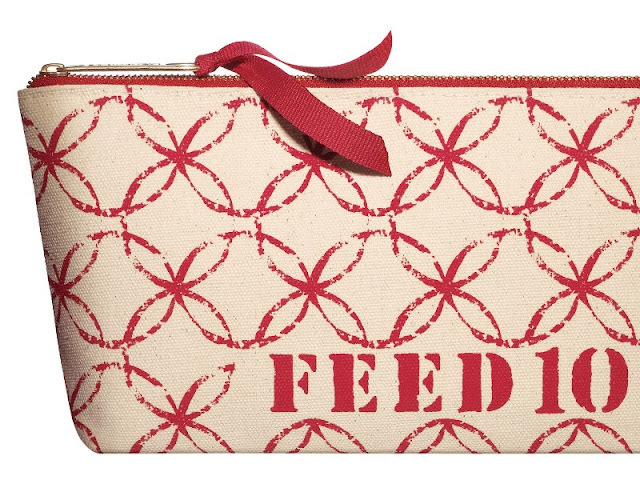 How often you have your breakfast, snacks or lunch in the car? For me it’s quite common on my busy days. I am sure most of the working urbanites did the same too. All I need is to get some light and convenient food to eat in the car when I am on the way to work, events or anywhere; it also helps to de-stress or occupy myself when I am stuck in the jam. Tadaa… here is my homemade chocolate milk and the new Mighty White Cupcake my convenient grab & go breakfast & snacks. Summer in my tropical country means the sun is hotter than usual and I sweat more because the humidity is high... grrr. Have you ever found yourself sunburned at the end of the day, even though you know you applied your sunscreen properly? Well probably is not enough or maybe your sunscreen worn off because of perspiration or water. Many high-SPF, water-resistant sunscreens tend to lower their effectiveness after you sweat or swim. Shiseido new Perfect UV Protector SPF 50+ PA++++ WetForce providing powerful protector for your skin and it becomes even more effective when it comes into contact with water or perspiration. In conjunction with its new Dior Pavilion KL beauty boutique launch, Dior Malaysia launched the La Collection Privée. It’s Dior’s exclusive and prestige line of fragrances. La Collection Privée is a hand-made collection of authentic, sophisticated fragrances for men and women alike composed using carefully selected ingredients and noble raw materials of the highest quality. Etude House celebrated its 7th Anniversary at Nexus Bangsar South City with makeover show. Ms Park, makeup artist from Korea came to Kuala Lumpur to show us the makeover using Etude House latest Precious Mineral Any Cushion. How to achieve pearly bright skin? I decided to try more spicy cuisine that night. Do you like indian spices? Here we were at Mumbai Delights, Plaza Mont Kiara to try out the famous authentic North India street food. Are you craving for street food? 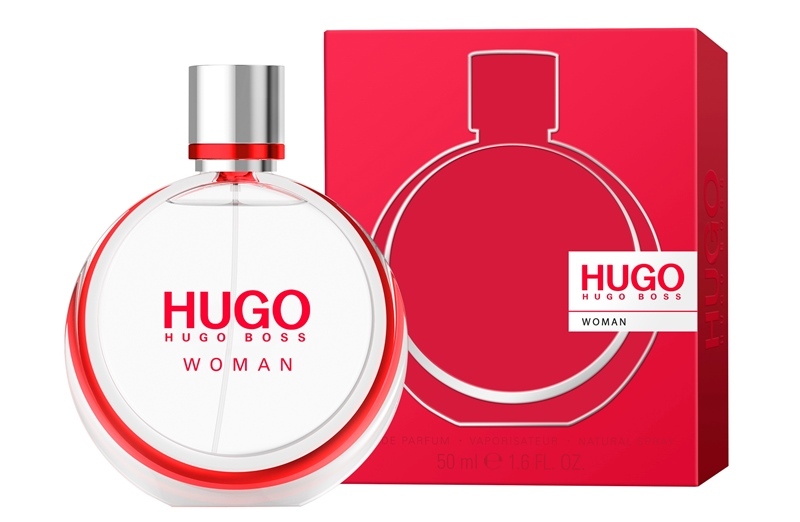 Hugo Woman your fragrance, your way is the new fragrance by HUGO for women who live the HUGO attitude: passionate, bold and always at the forefront of a new, empowered generation that does things in its way and lives up to the motto ‘invent yourself’. Danish model Freja Beha Erichsen celebrated for her beauty and attitude is the face of HUGO Woman. There’s a saying, “When you fall in love, everything is brighter, bolder and more intense.” Is that true? Wear your mood on your lips. Revlon Ultra HD™ Lipsticks and Lip Lacquer feature a patent-pending wax-free gel technology that is capable of suspending more colour pigments to deliver brighter, bolder and high resolution colours without the heavy wax feeling associated with conventional lip products. This year Weaving A Joyous Raya @ Sunway Pyramid with the inspiration of anyaman that surrounds the mall with its delicate yet simple art form. I received a set of portable makeup brush set in lovely purple few weeks ago from Born Pretty online store. Well, as you know I love makeup brushes and collect them. Awesome this will add into my makeup brush collection, it's a 7 pieces Purple Portable Makeup Brush Set that comes together with a cosmetic brush case. Here is the latest smartphone, the sleek and slim vivo X5Pro that was launched in Malaysia at KL Convention Centre. It was a grand launch event whereby many celebrities and about 1,500 people attended the launch including myself. The vivo X5Pro, touted as the Touch By Beauty is Hi-Fi amplified, user friendly, created to compliments lifestyle. 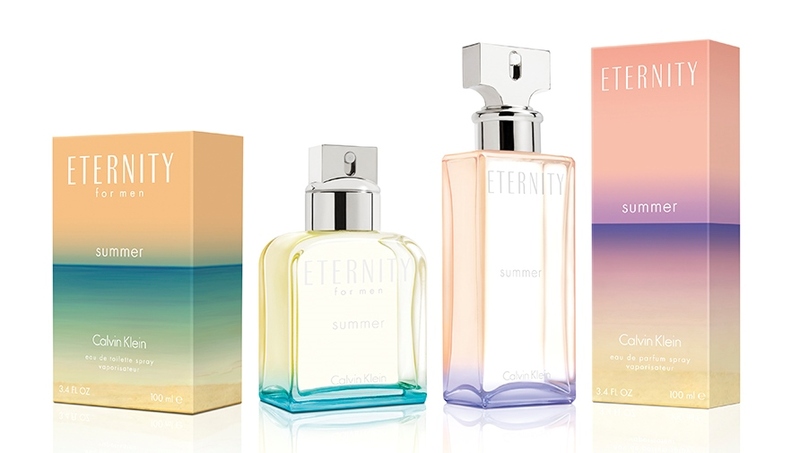 The scent of fresh, floral and warm; Eternity Summer Calvin Klein embodies the sensation of losing yourself in the beauty of the horizon where the expansive and endless sea flows into the colorful summer sky. I’m in love with my Thomas Sabo mini collection of jewellery and accessories especially the Karma necklace, bracelet and beads. The Karma Beads represents my personal karma style, particularly the Koi Fish which is the symbol of courage, focus and endurance. The versatility of Thomas Sabo jewellery makes it very easy to mix and match and play with different style ~ the abundance of possibilities. Oiii… Meriahnya Syawal at 1 Utama Shopping Centre this Raya; jom jalan and cari makan there. The LG Oval concourse area at the new wing has transformed into kampung atmosphere where you can find Rumah Tok Penghulu, retro bicycles, Vespa scooters, vintage knick-knacks, bougainvillea flowers, real grass pathways, bazaars, buka puasa fare, kitchens appliances and many more. The Levi’s 501® Jean featuring a timeless straight leg, relaxed fit and signature button fly, has earned its status as the most coveted jean in the world, lived in and loved by generations. Patched, repaired, shredded or tapered, the Levi’s® 501® Jean reflects how people live their lives. The new 501® CT (Customized & Tapered) offers much-loved Original 501® jean in an extensive range of sizes, colors and finishing. Welcome Summer! We have summer almost all year long, the hot and humid weather caused our hair to become frizzy. I am tired of my unruly and frizzy hair; I am sure some of you faced the same problem as me as well. I tried Redken’s new Frizz Dismiss yesterday during the launch and hair pampering session at Atmosphere Salon, Atria Shopping Centre. Tadah!!! this was the result after using Redken Frizz Dismiss hair care range, I am impressed.